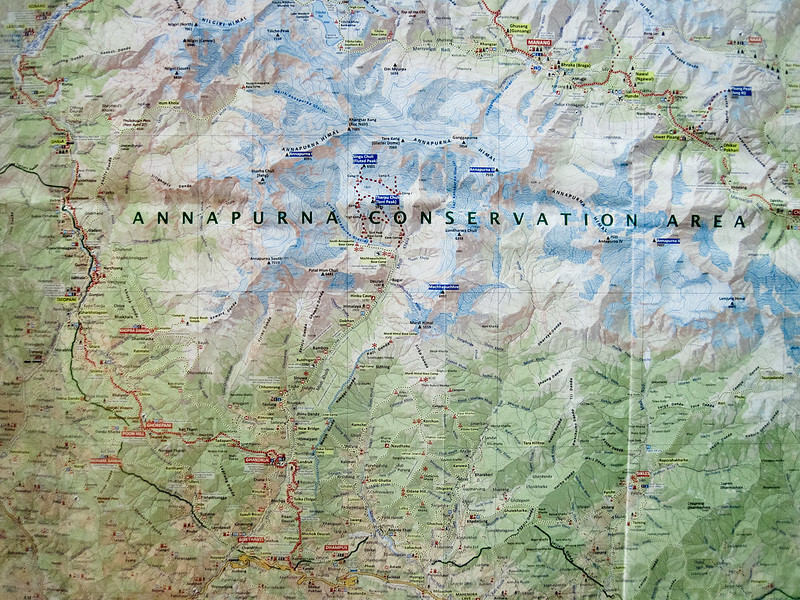 Annapurna Base Camp Trek | Where Have You Been Lately? 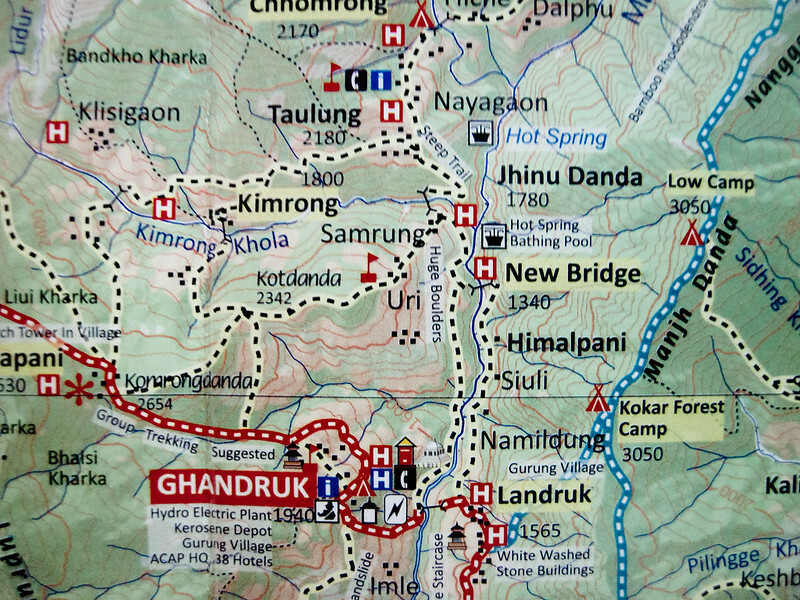 There are several jump-off points leading to the base camp of the Annapurna mountain ranges but there are two that are more popular to trekkers: Pedhi and Nayapul where our trek started. I’ve read that though Pedhi is the nearest from Pokhara, about 45-minute drive, it is the most challenging among other jump-off points because of its killer ascent that lasts for two hours or more. What a way to start your adventure, I say. Nayapul, on the other hand, is a 2-hour away drive from Pokhara but the easiest because of its gradual ascent. Why did we choose Nayapul? It’s because of acclimatization or simply adaption. Your body needs to carefully adapt to sudden changes in altitude and one of the best ways to acclimatize is to increase the altitude gradually in which Nayapul perfectly fits the bill. The trail from Nayapul to Syauli Bazaar is relaxing and doesn’t require that much energy from you. It’s a looooooong walk. I’ll discuss acclimatization on my future posts but for the meantime, you should know that this part of trekking is very important for you to avoid acquiring acute mountain sickness (AMS). Many have died because of choosing not to take this altitude sickness seriously. AMS is deadly. 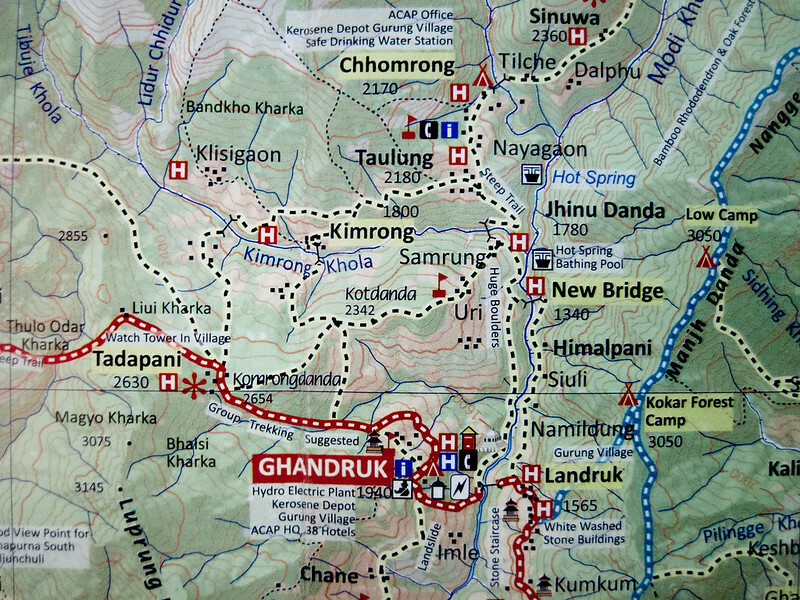 To give you an idea of how a seven-day trek to the base camp of Annapurna feels like, I’ve listed a brief description of what you will encounter on a day-by-day basis. I’ve also linked each day to my Flickr account so you’d have a better picture of how the trails look like. Hike time does not include lunch in the tea houses, which usually takes almost two hours. 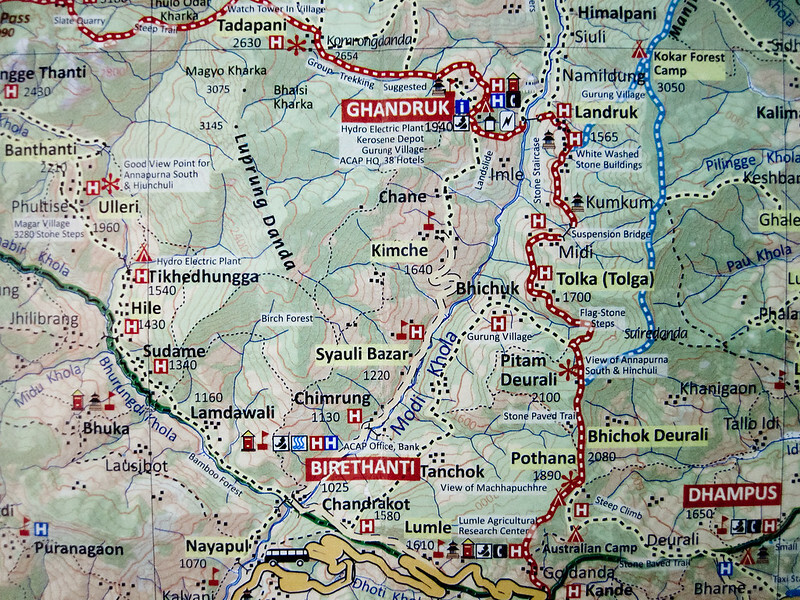 Also, we had very little rest during the trek because of our limited time to complete the whole activity. But it’s really up to you. Remember that you need not to hurry and must take your time especially in 3000 MASL beyond as AMS usually strikes in this elevation. Having read these little pieces of information, can you now gauge your ability to trek to the base camp of the tenth highest peak in the world? Stay tuned for more of my stories about our experiences during our adventure to the ABC. This trip is rated Strenuous . Trekking in Nepal is for active people in good health who enjoy vigorous hiking. 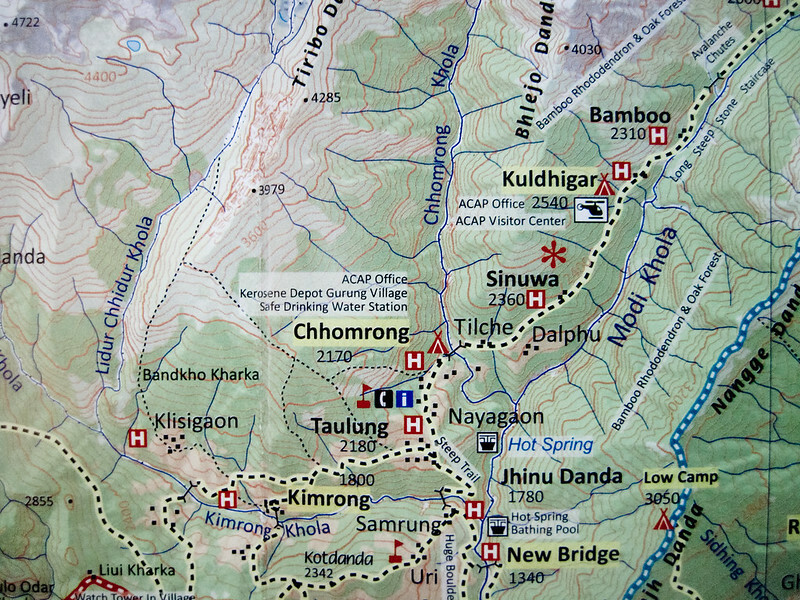 Nepal has an “up and down” topography, there is very little level walking. We expect participants to be strong, experienced hikers in good physical condition. 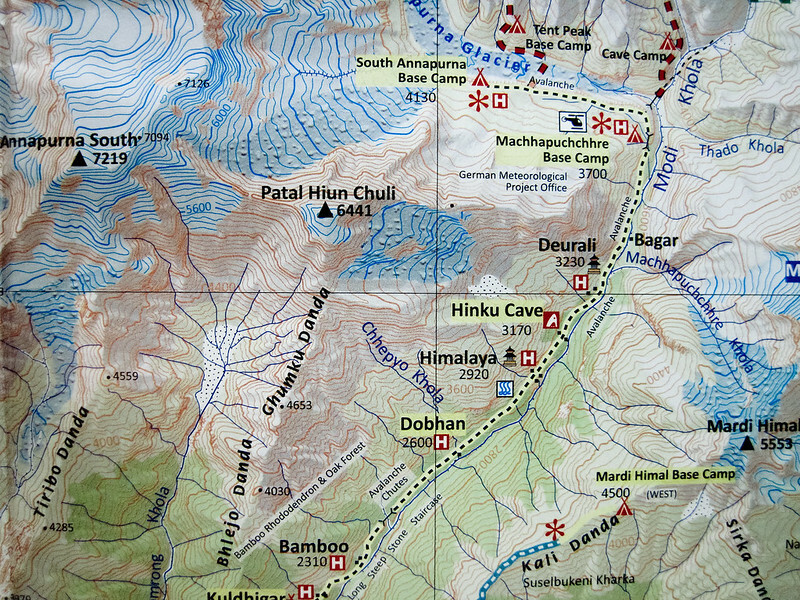 Gear and supplies will be carried by porters or yaks, leaving members free to carry only a daypack. No technical climbing or other special abilities are required. 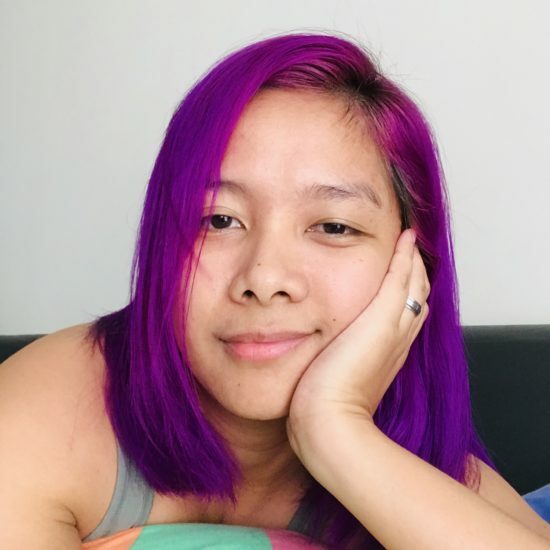 However, each person should be equipped with a “spirit of adventure” and have prior experience with backcountry camping, sleeping in a tent and willingness to undergo the potential hardships of outdoor living and long days on the trail. 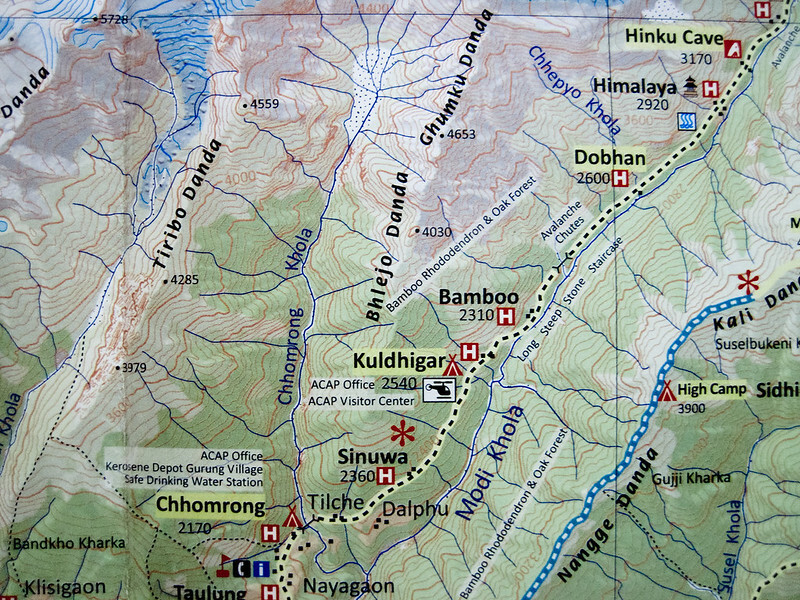 This trek spends considerable time at altitudes between 11,000′ and 17,100′. The trails themselves are only moderate, but at these altitudes hiking will feel more strenuous. A good physical conditioning program must be undertaken several months in advance to get into shape. A physician’s signature is required for participation on this trip. Our 2014 team will likely be similar to our 2013 team with guides such as Garrett Madison, Lakpa Rita Sherpa, Michael Horst, Ben Jones and Vernon Tejas at the helm. As always we will employ our famed Sherpa staff. Our Sherpa team is legendary throughout the climbing community and will be the mainstay of our summit support team. 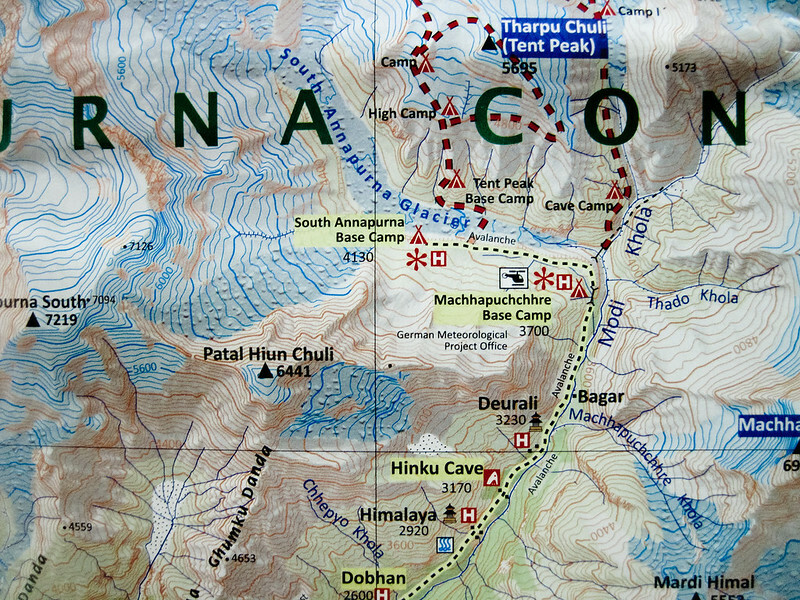 The Sherpa team will set the route and manage a quality base camp which is reknowned throughout the great tent city at the foot of the mountain. We look to bestow our traditions and expertise on every climber.